£8 million is to be invested in strategic infrastructure around the first phase of Plasdŵr in north west Cardiff, with work expected to start in the autumn. 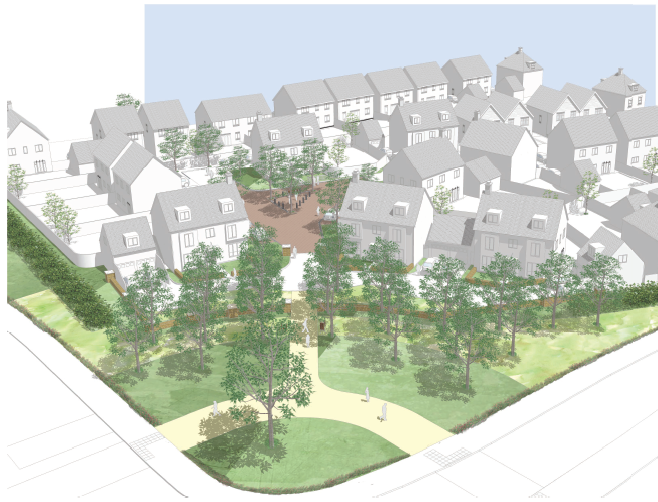 Lead developer, Redrow Homes, has agreed the terms of its Section 106 agreement with Cardiff Council – the key provisions that will underpin the first phase of 630 homes to the north and south of Llantrisant Road at the approach to Radyr. The £8 million investment forms part of a total allocation of an estimated £22million that will also fund up to 90 affordable homes in Phase 1, and, in approximately four years a new, 420-place primary school. 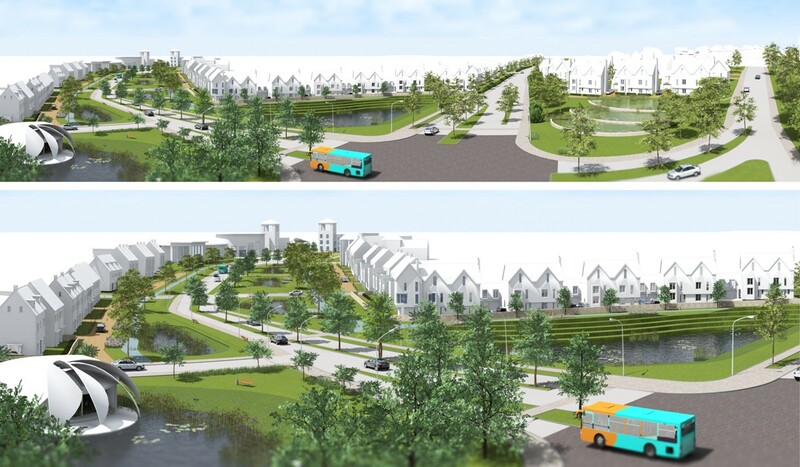 £5m of the total will be invested to transform 11 acres of open space into community play areas and green corridors servicing the site’s recreational routes, in keeping with Plasdŵr’s vision as a 21st Century garden city. Some is also allocated to support the development of community facilities in a future, neighbouring planned phase. The transport investment will include a bus lane to be provided on Llantrisant Road between Clos Parc Radyr and Radyr filling station, and replacing the roundabout joining Llantrisant Road and Heol Isaf with a signalised junction. Improvements will also be made to Radyr train station including provisions for cycle parking. The highways investment is higher than would normally be expected for the scale of Phase 1 as it has been agreed within the wider context of Plasdŵr. 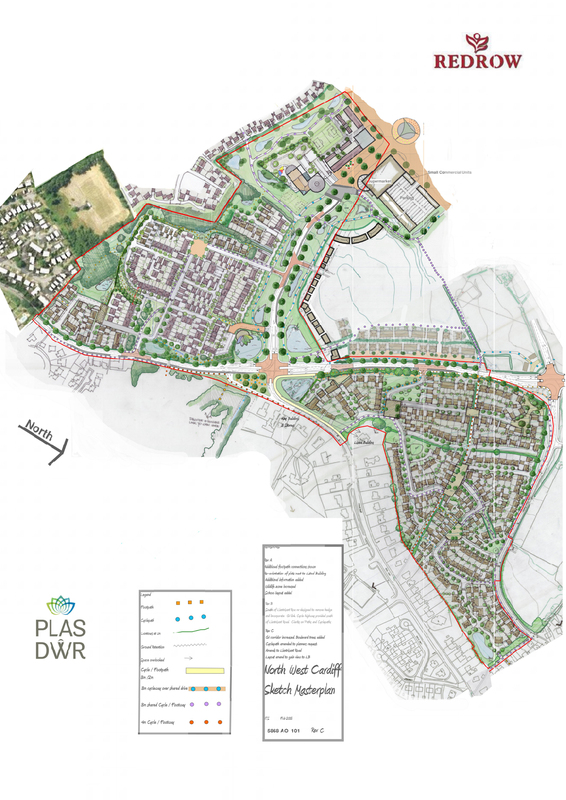 Planned on a strategic site identified in Cardiff’s Local Development Plan as key to the city’s economic growth, Plasdŵr will see up to 7000 homes set over 900 acres on land bordering Fairwater, St Fagans, Danescourt and Radyr. Project Director, Wayne Rees of Redrow, said: “This is not just a housing development at Llantrisant Road, but the first step in creating a whole new, sustainable community in Cardiff over the next twenty years, and the extent of investment in the transport infrastructure around Phase 1 reflects that much bigger picture. “Behind this first phase sits a comprehensive, phased masterplan to deliver not just thousands of homes but health, education and community facilities as well as the infrastructure to support it. Each phase of the development will have these provisions at their core, ensuring that the site delivers a strong, sustainable community within a world-class setting. Construction of the first phase is expected to take 4-6 years and create between 2000 and 3000 jobs. While infrastructure works are expected to get underway this autumn, construction of the first homes should begin later in the year. 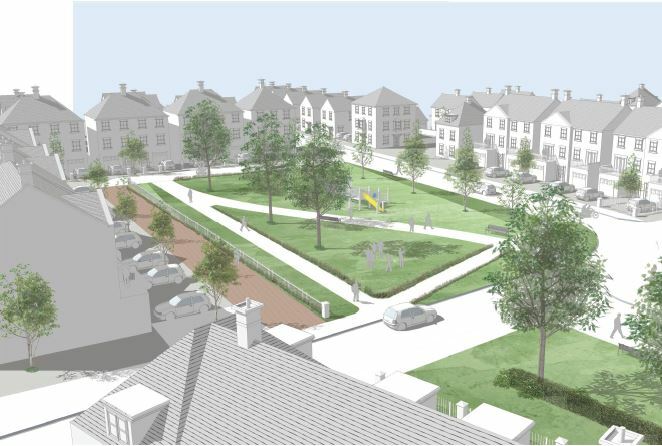 Redrow Homes has also received resolution to grant planning permission from Cardiff council in June 2016 for 290 homes at Pentrebane Road, which will form the second part of phase one. More information on Plasdŵr can be found at www.plasdwr.co.uk.